In 1986, Halley’s Comet captivated a teenager living in a small South African town. Curious about what his nation does in astronomy, he scoured books at the local library and asked questions of his teachers. It was, however, a tough time to learn about it. Under apartheid, African science was seen as “nothing of merit” until the Westerners colonized the continent two centuries ago. This tale, told in African Cosmos: Stellar Arts, portrays part of the difficulty of reporting on African science. Turn back to when Egyptians built the pyramids, and you can understand that astronomy goes back thousands of years on the continent. Yet, Africa is under-represented in discussions about popular astronomy. Language, scattered cultures, and distance from the Western world are all barriers. Creating this volume must have been daunting for Christine Mullen Kreamer and her collaborators, who gathered 20 essays about African astronomy. But you can see for yourself, as this book is available for free on iPad, and you can download it here. Africa is a large continent with humans living anywhere from crowded cities to sparse grassland. There are at least 3,000 ethnic groups on that landmass, according to Baylor University, with many of these cultures having separate views in astronomical culture and history. It’s hard to gather all that information into a single book, but the Smithsonian National Museum of African Art does its best. The book opens with lengthy explanations of the Egyptian and Babylonian contributions to astronomy. 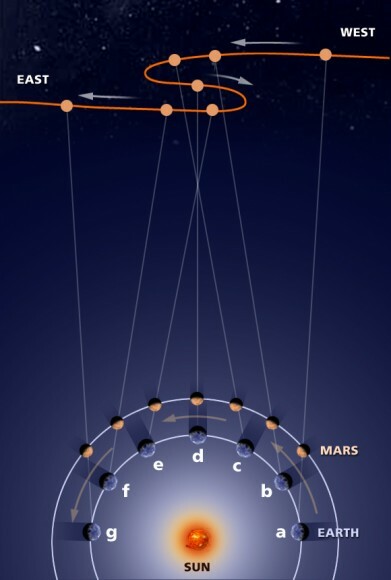 The Babylonians, for example, observed the strange backwards motion of Mars when our planet “catches up” in our smaller orbit to Mars’ larger one. The Egyptians used the sky to develop a 12-month calendar to track important feasts and the time for harvests. This information is readily accessible elsewhere, but the art makes it stand out. Flip the pages, and you’ll gaze at period art, maps and even astronomical tables that were on display at the museum for a 2012 exhibition. Perhaps the most fascinating historical chapter is Cosmic Africa, which traces the development of a film of the same title. Anne Rogers and her film team did field research in seven countries to narrow down which tribes to focus on. Eventually, they settled on the Ju/’hoansi in Namibia, the Dogon in Mali and (through archaeology) the area of Nabta Playa in Egypt. There aren’t many explanations of these peoples in the historical record, so it’s neat to see how their culture is shaped by the stars and nebulas they see. Adding to the interest, the team deliberately visited the Ju/’hoansi during a partial solar eclipse to learn how the tribe reacts to more rare astronomical events. You’ll see a lot of tribes in this large volume, and will also get hints of the latest art and science surrounding African astronomy. The most current astronomical information is sparse, perhaps out of recognition that the information would go out of date very quickly. It might have been interesting nevertheless to include more information about the Square Kilometer Array, the world’s largest telescope, that is under development in both Africa and Australia. For more information on the book, check out the online exhibition from the Smithsonian.